October marks the beginning of a new planting season in southern California as cooler weather makes it easier for new plants to flourish. Fall is Best Time To Plant During Drought: Cooler weather slows water evaporation and with the sun lower on the horizon, less heat stress is placed on newly planted vegetables, flowers, trees and shrubs. The lower air temperatures also means new gardens need less moisture to grow and flourish. Of course, if Santa Ana winds blow, gardeners will need to revert to a summer-like watering schedule. Keep Watchful Eye On Trees: Mature trees are likely showing the effects of three years of little measurable rain. Evergreen needles may turn brown. Tree leaves may drop prematurely or stay on the tree even if brown. If drought does not kill a tree, lack of water can increase chances of insects or disease infestation. To prevent this, slowly deep water to at least one foot below the surface within the drip line (evergreens need watering at least three feet beyond the drip line since their roots spread). Water every two weeks. Watering for only a short time keeps roots shallow and heightens drought effects. Give trees top watering priority—it is much more costly to remove and replace 20 or 30-year old mature trees that has fallen victim to drought conditions than to keep current trees healthy. October Is Ideal Month To Plant Trees and Shrubs: Just about every type of tree or shrub can be planted successfully in October (except tropical varieties). This is especially the best time to plant California natives such as California redbud, Cleveland sage, California lilac, Coast Live oak, Western Sycamore. All require very little water once established. It is also the time to plant beds with cool-season flowers. California poppies, alyssum, pansies, calendula, candytuft, foxgloves, gazania, hollyhocks, snapdragons and stock add instant color. Plant Your Edibles: Price-wise, you can usually grow fall vegetables and herbs for less than the price for organic counterparts in the store since water usage is usually less in fall. Fall favorites include beets, broccoli, cabbage, carrots, cauliflower, celery, chard, lettuce, mustard, onions, peas, radish and spinach. Herbs that also do well in fall are chives, cilantro, dill, oregano, parsley, rosemary, sage and thyme. Harvest Pumpkins: Pumpkins are reading to harvest when the vines become dry. Cut the pumpkin stem two inches from the vine. 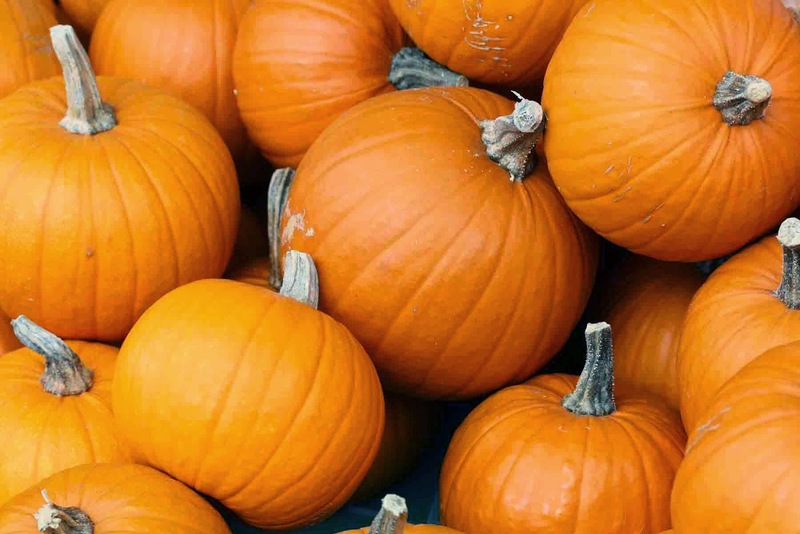 Pumpkins can stay fresh for up to three months after harvesting. If carving a pumpkin for Halloween, save the seeds. Separate the seeds from the pulp, wash and then spread them onto a cookie sheets. Sprinkle with salt or seasoning and toast in the oven for three minutes at 375 degrees. Mix and then toast for another two minutes. Cool to room temperature before eating.